24th April, London: After a 16-year absence, the QubicaAMF Bowling World Cup returns to the United States in style, surrounded by the flash, glitter and appeal of one of America's favourite vacation destinations. Sam's Town Hotel and Gambling Hall in Las Vegas will host QubicaAMF's classic event for the second time in the tournament's 50 year history this November. "A warm Las Vegas welcome is awaiting all our bowlers and guests this November," said John Sou, Sam's Town Vice President and General Manager. "We are excited to welcome back this great event." The 56-lane centre will be showcasing QubicaAMF's BES X Scoring and Management System, the world's only Bowling Entertainment System. BES X is designed to provide exciting competitive play at any level and uniquely allows bowlers to review their game statistics on-lane, live and on-demand directly from the SuperTouch LCD bowler console. During the tournament, through BES X, you will also be able to keep up with your favourite bowlers with live, Online Scoring. 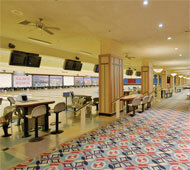 You can view scores in real time, see what lanes bowlers are bowling on and their standing at any given moment. You can even stay connected with your favourite bowlers through the unique Facebook feature. Sam's Town will also serve as the official tournament headquarters. QubicaAMF President, Juan Cabezas said,"“It gives me great pleasure to usher in the next 50 years of the Bowling World Cup at Sam's Town. My colleagues have told me about the great tournament that was held here in 1999, and I know that the team at Sam's Town will do a terrific job for us this year. I am looking forward to Las Vegas in November! "We think the selection of Las Vegas as Host City will generate great excitement and interest in this year's Bowling World Cup," said tournament organiser Anne-Marie Board. 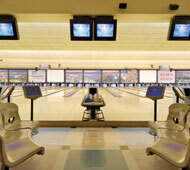 "Not only is Las Vegas one of the premier vacation cities in the world, but it's also a great bowling town, hosting a variety of bowling championships each year. It's quite possible that we'll top the record of 95 countries that participated in the 2004 Bowling World Cup in Singapore." The tournament will take place in Sam’s Town from November 13 - 20, 2015. Last year's tournament in Wroclaw, Poland, attracted bowlers from 85 nations. The champions were Clara Juliana Guerrero of Colombia and Chris Barnes of the USA. Information on the QubicaAMF Bowling World Cup can be accessed on www.qubicaamf.com along with facts, photos and statistics from each of the previous 50 championships; and the latest bulletins and news for 2015. This will also be the official site for daily results during the tournament. Keep up to date with all the news, views and happenings in the months leading up to this year's world cup in Las Vegas on QubicaAMF's Facebook and Twitter pages. The Official Hashtag of the event is #51BWC. QubicaAMF has over 65 years of bowling experience and innovation, an install base of more than 10,000 centres worldwide and can provide the perfect combination of bowling equipment, products and services to build a traditional bowling centre, an FEC or entertainment facility to suit any budget. The company has sales offices in 12 countries, and distributor network with worldwide reach. It maintains the largest R & D team for software, electronics and entertainments systems in the industry.